A bed of rice topped with grilled chicken and covered with cheese sauce. Tender Chicken Breast served with grilled onions, mushrooms, shredded cheese, ham, rice, beans, and salad. Covered with shredded cheese. Stuffed with steak, rice, beans, lettuce, and sour cream. Topped with cheese dip. A heaping order of fries covered in cheese and jalapenos. Choose any three of the following: Bean Dip, Cheese Dip, Tomatillo Salsa, Mild Salsa, Salsa Verde, Pico de Gallo, Sour Cream, Guacamole, and Ranch Dressing. Served with Chips. 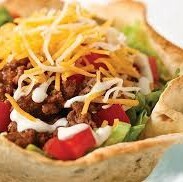 A flour tortilla stuffed with cheese, refired beans, chopped beef, and topped with shredded lettuce, tomatoes, and sour cream. Cheese nachos with chopped chicken, beef, refried beans, served with shredded lettuce, tomato, and refried beans. Melted cheese with sausage, onions, tomatoes, and bell peppers. Served with tortillas. Chicken tenders with lettuce, french fries, and ranch dressing. Whole beans with pico de gallo, spicy chicken, and chips. Six (6) pieces, served with ranch dressing. Two Cheese sticks, two jalapeno poppers, two chicken wings, two chicken tenders, with lettuce and tomato. Refried beans, shredded cheese, green chiles, diced tomatoes, guacamole, sour cream, black olives, and chips. A sizzling platter of marinated chicken, shrimp, short ribs, bacon, and chorizo sauteed using our special recipe. Complimented with rice, beans, salad, and flour tortillas. 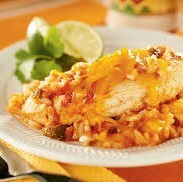 Tender chicken breast with ham and pineapple, blanketed with cheese, served with rice and salad. Crispy Tortilla Chips topped with grilled onions, shrimp, crab meat, and scallops. Covered with queso, finished off with fresh diced tomatoes and homemade guacamole. 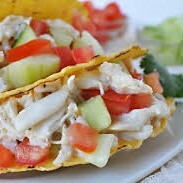 Three corn or flour tortillas grilled crab meat, topped with lettuce, pico, sour cream, sliced avocado with our special green sauce on the side. Delicious jumbo shrimp over a bed of cheesy rice, cooked with our Chipotle sauce and garnished with lettuce, tomatoes, and sliced avocado. Two corn sopes filled with beans, your choice of available meat options, topped with lettuce, pico degallo, sour cream, and our special sauce on the side served with rice and beans. One enchilada, one taco, and one chile rellenos. One taco, one burrito, and chalupa. One burrito, one chile relleno, and a taco. One chalupa, one cheese enchilada, rice. One bean burrito, one cheese enchilada, one bean tostada with nacho cheese. One chalupa, one cheese quesadilla, and beans. One cheese enchilada, one quesadilla, and rice. Two chile rellenos with rice and beans. Three (3) flour tortillas stuffed with steak and served with pico de gallo, beans, and tomatillo sauce. Grilled chicken strips covered with creamy chipotle sauce, served with rice and beans. Grilled shrimp covered with creamy chipotle sauce, served with rice and beans. Four corn tortillas stuffed with chunks of beef, chicken, and chorizo, Served with onions, cilantro, cheese sauce and special sauce. 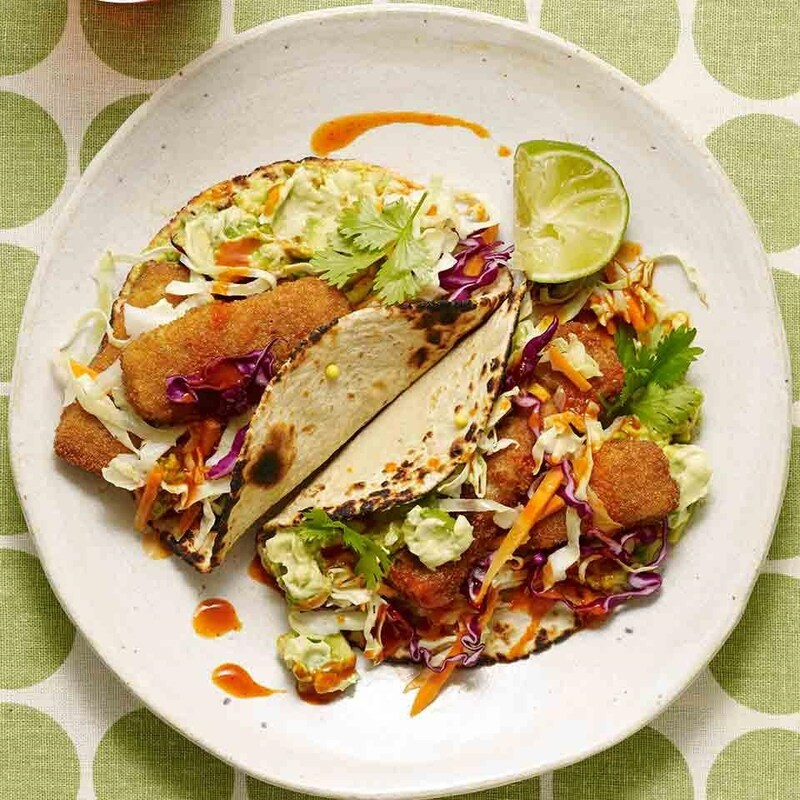 Four (4) Rolled corn tortillas stuffed with chicken or beef, deep fried, and served with lettuce guacamole and sour cream. 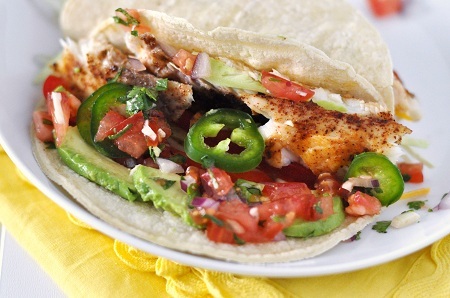 Three grilled fish with flour or corn tortillas, topped with lettuce, pico de gallo, sour cream, and spicy green sauce on the side. Three grilled steak tacos with double flour or corn tortillas, whole beans, guacamole, pico de gallo, and tomatillo sauce. Two crispy tacos filled with chicken, sour cream, lettuce, tomato, and yellow cheese. Served with rice and french fries. Two crispy tacos filled with steak, sour cream, lettuce, tomato, and yellow cheese. Served with rice and french fries. Three grilled shrimp with corn or flour tortillas, topped with lettuce, pico de gallo, special sour cream sauce and spicy green sauce on the side. Grilled chicken breast topped with white cheese and ranchera sauce, served with eight (8) shrimp on a stick, mixed vegetables, rice, sour cream, pico de gallo, and guacamole. Thin steak served with rice, lettuce, beans, onions, and a slice of avocado. A flour tortilla stuffed with beef, deep fried to a golden brown, topped with cheese sauce, lettuce, sour cream, and pico de gallo. Served with rice and beans. A flour tortilla stuffed with chicken, deep fried to a golden brown, topped with cheese sauce, lettuce, sour cream, and pico de gallo. Served with rice and beans. A flour tortilla stuffed with shrimp, deep fried to a golden brown, topped with cheese sauce, lettuce, sour cream, and pico de gallo. Served with rice and beans. 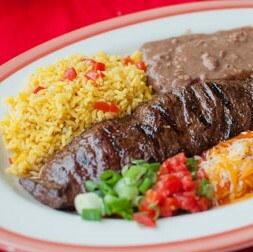 Grilled stripes of juice steak topped with ranchera sauce, served with rice and beans. 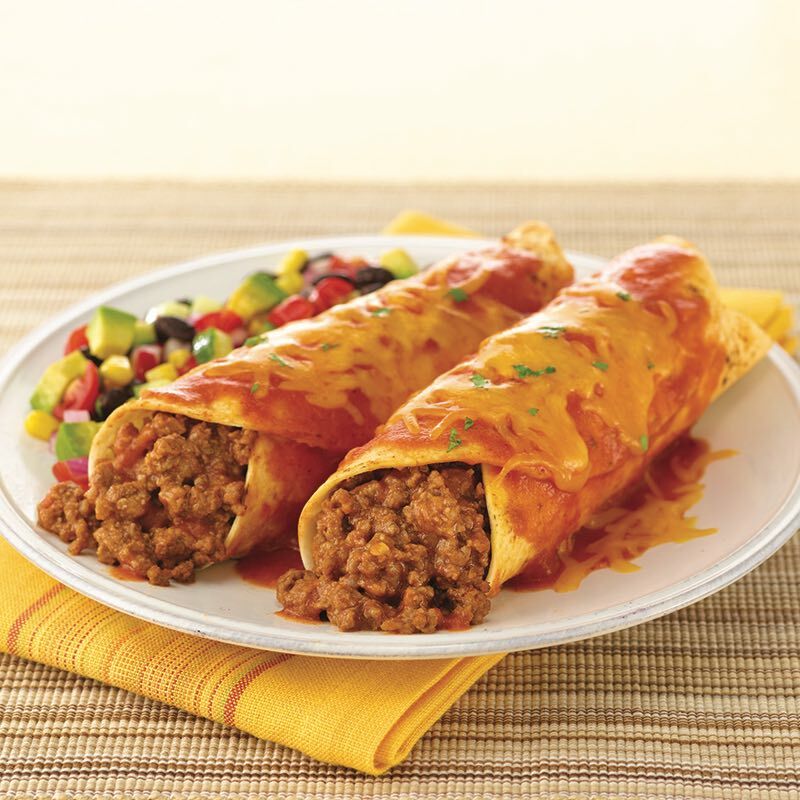 12-inch flour tortilla stuffed with your choice of chicken or shredded beef. Deep-fried to a golden brown, topped with cheese sauce, lettuce, guacamole, sour cream and pico de gallo. Served with rice and beans. Chalupa.taco, chile relleno, enchilada, tamale, rice and beans. Beef steak topped with onions, covered in cheese sauce. 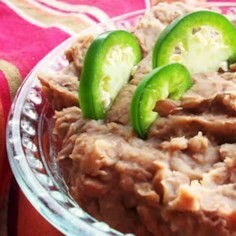 Served with rice, beans, and flour tortillas. Beef steak topped with onions and bell peppers. Served with rice, beans, chopped tomatoes, and flour tortillas. Beef Steak topped with mushrooms. Served with rice, beans, and flour tortillas. Chicken breast and shrimp with steamed vegetables served with rice, beans, and salad. Grilled chicken breast topped with our special mole sauce, served with rice and salad. Chicken breast covered with cheese sauce, served with rice and beans. Grilled shrimp with steamed vegetables served with rice, and salad. Garlic shrimp served with rice, lettuce, tomato, and avocado. Delicious jumbo shrimp served with our "a la diabla" sauce, garnished with lettuce, sliced avocado, and served with Mexican rice. Grilled shrimp covered with cheese dip, topped with pico de gallo and served with rice, lettuce, tomato and sliced avocado. Grilled garlic shrimp with seasoned fish filet, crab meat, and scallops. Served with mixed vegetables and rice. Crab meat, scallops, jumbo shrimp, fish, and mussels served with sauteed onions, tomatoes bell peppers, beans, rice, and salad. Four rolled corn tortillas, one beef, one bean, one chicken, and one cheese. Topped with enchilada sauce, cheese, lettuce, tomatoes, and sour cream. Three rolled corn tortillas with grilled chicken, topped with our dark brown special mole sauce, rice, and a salad. Three shrimp and mushroom enchiladas topped with cheese dip and served with rice and a salad. 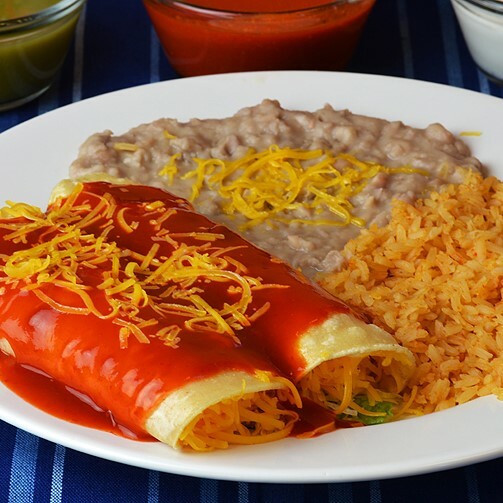 Three rolled corn tortillas, with grilled steak or chicken, topped with ranchera sauce, served with rice, beans, and a salad. Three grilled chicken enchiladas topped with cheese sauce, served with rice, beans, and salad. Three chicken enchiladas topped with green chile sauce and shredded cheese. served with rice, beans, and a salad. Two cheese enchiladas topped with beef cooked with onions, tomatoes, bell peppers, and enchilada sauce. Served with lettuce, sour cream, and guacamole. Three rolled corn tortillas, stuffed with spinach, sauteed onions, topped with cheese dip. Served with rice and a salad. 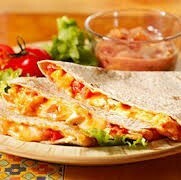 Extra large flour tortilla stuffed with your choice of meat, melted cheese, grilled onions, tomatoes, and bell peppers. 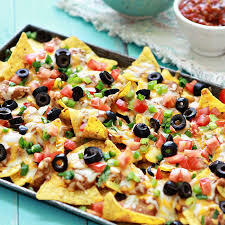 Nacho chips with melted cheese, your choice of meat, with onions, tomatoes, and bell pepper. Marinated tender strips of chicken, beef, and five shrimp. 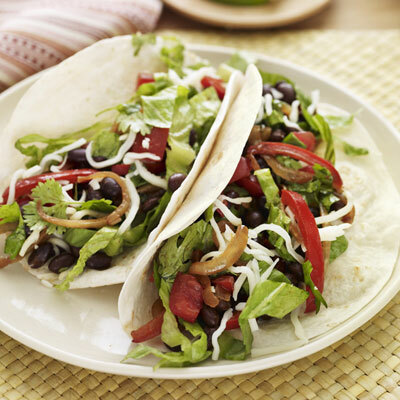 Served with sauteed onions, tomatoes, bell peppers, refried beans, rice, salad, and three flour tortillas. A sizzling platter of tender marinated beef, chicken, shrimp, and chorizo, sauteed using our special recipe, complimented with rice, beans, salad, and flour tortillas. Shrimp served with sauteed onions, bell peppers, tomatoes, refried beans, rice, salad, and flour or corn tortillas. Cooked onions, tomatoes, bell peppers, steamed veggies, garnished with lettuce, guacamole, sour cream, and pico. Served with rice and beans. Baked potato, topped with grilled chicken or steak with onions, bell peppers, tomato, topped with cheese. A big flour tortilla, stuffed with beef, chicken, shrimp, chorizo, melted cheese, grilled onions, bell peppers, and tomatoes. Served with lettuce, sour cream, guacamole, and pico. Stuffed with chicken, rice, beans, lettuce, and sour cream. Topped with cheese dip. Stuffed with shrimp, rice, beans, lettuce, and sour cream. Topped with cheese dip. A large tortilla filled with seasoned ground beef or chicken. Topped with lettuce, tomatoes, sour cream, and red sauce, Served with rice and beans. One beef burrito with sauce, topped with lettuce, sour cream, and cheese. Two burritos stuffed with chicken, covered with cheese, sour cream, lettuce, and pico de gallo. Two burritos stuffed with steak, covered with cheese, sour cream, lettuce, and pico de gallo. A large tortilla stuffed with lettuce, ground beef, tomatoes, and sour cream, Smothered with cheese sauce. Burrito stuffed with steak, coooked with onions, bell peppers, tomato, Topped with lettuce, tomato, sour cream, and avocado. Covered with red and cheese sauce. Two beef patties cooked just right, served with lettuce, tomatoes, onions, American cheese, and french fries. Two homemade tamales, one cheese quesadilla, and one taco, Served with rice and beans. Chicken breast grilled to perfection, served with lettuce, cheese sauce, tomatoes, and French fries. Cheese nachos topped with chicken, beef, and refried beans, a beef or chicken quesadilla, three rolled taquitos, Served with lettuce, jalapenos, sour cream, tomatoes, and shredded cheese. Chicken breast topped with ranchera sauce with rice and beans. A flour tortilla stuffed with cooked shrimp, chicken, steak, grilled onions, bell peppers, and tomatoes. Deep-fried, then topped with cheese sauce, sour cream, lettuce, tomatoes, and guacamole. Choice of wheat or regular tortilla with grilled chicken, lettuce, tomato, cheese, and ranch on the side. Seasoned, grilled, and served on a bed of rice with mixed vegetables. Whole wheat tortilla filled with grilled chicken, tomato,lettuce, cheese, and buffalo sauce. 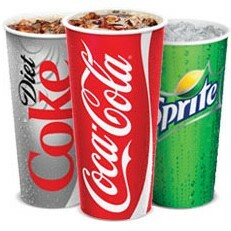 Served with your choice of salad dressing. Spinach, onions, and mushrooms, covered in cheese sauce. 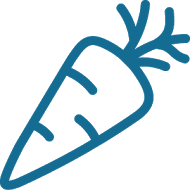 Choice of wheat or regular (flour) tortilla. Grilled Tilapia cooked with Spinach, Onions, Mushrooms, and Rice. Grilled Chicken cooked with Spinach, Onions, Mushrooms, and Rice. Cooked with grilled onions, mushrooms, bell peppers, and tomato, covered with cheese sauce. choice of flour or wheat tortilla. 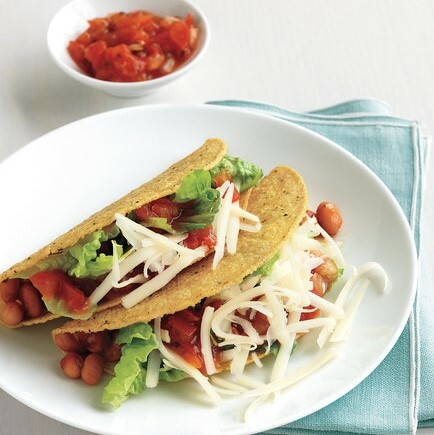 A crispy corn tortilla with your choice of filings and cheese, served with rice and beans. Two grilled shrimp tacos with corn or flour tortillas, topped with lettuce, pico de gallo, our special sour cream sauce and spicy green sauce on the side. Two grilled fish tacos with flour or corn tortillas, topped with lettuce, pico de gallo, our special sour cream sauce, and spicy green sauce n the side. 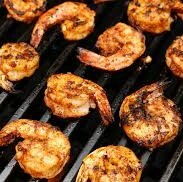 Grilled shrimp or tender strips of chicken or steak with sauteed onions, tomatoes, and bell peppers. Garnished with lettuce, sour cream, guacamole, Pico de gallo, and corn or flour tortillas. Served with rice & beans. 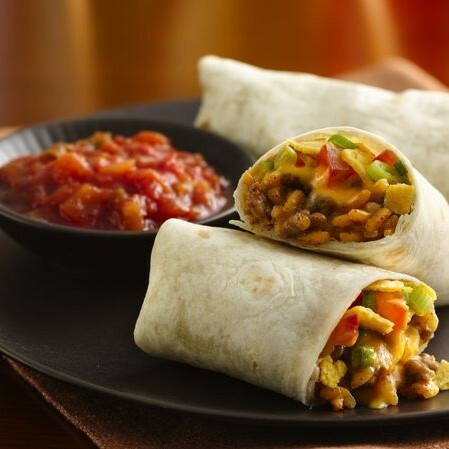 A crisp flour tortilla with meted cheese sauce, topped with fajita beef or chicken, onions, tomatoes, bell peppers, lettuce, cheese and sour cream. Steak and cheese sandwich with onions and peppers, served with french fries. Two rolled corn tortillas with beef or chicken, deep fried and served with lettuce, guacamole, sour cream, rice, and beans. A corn tortilla stuffed with chicken, cheese, and ranchero sauce. Served with rice, beans, sour cream, and salad. Grilled chicken served with rice and covered with cheese dip. A soft corn tortilla stuffed with your choice of fillings and cheese, served with rice and beans. 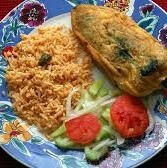 A large chile relleno filled with cheese, battered and fried to a golden brown, served with rice and beans. 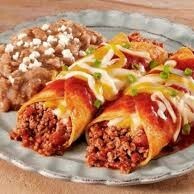 Tender beef wrapped in an authentic soft corn shell, ad topped with seasoned ground beef, whole beans and mild sauce. Served wth rice and beans. One steak burrito with green chili sauce, served with rice and beans. A large tortilla filled with shredded chicken or seasoned ground beef, topped with lettuce, sour cream, tomatoes and red sauce. Served with rice and beans. A deep fried flour tortilla stuffed with your choice of shredded beef, chicken, or shrimp, topped with cheese sauce, lettuce, guacamole, sour cream, and pico de gallo, served with rice and beans. 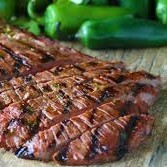 A lunch portion of grilled strips of steak or chicken, sauteed onions and Hot Serrano or bell peppers. Served with rice, beans, and tortilas. One steak burrito and rice with lettuce and guacamole. Nacho chips with melted cheese, beef or chicken, grilled onions and peppers. Nacho chips with melted cheese and grilled shrimp cooked with onions and peppers. Quesadilla served with rice and beans, chicken or steak. Taco Salad - A crisp flour tortilla with cheese sauce, topped with beef or shredded chicken, onions, lettuce, tomatoes, cheese and sour cream. Two enhciladas with your choice of beef, cheese, or chicken, served with rice. 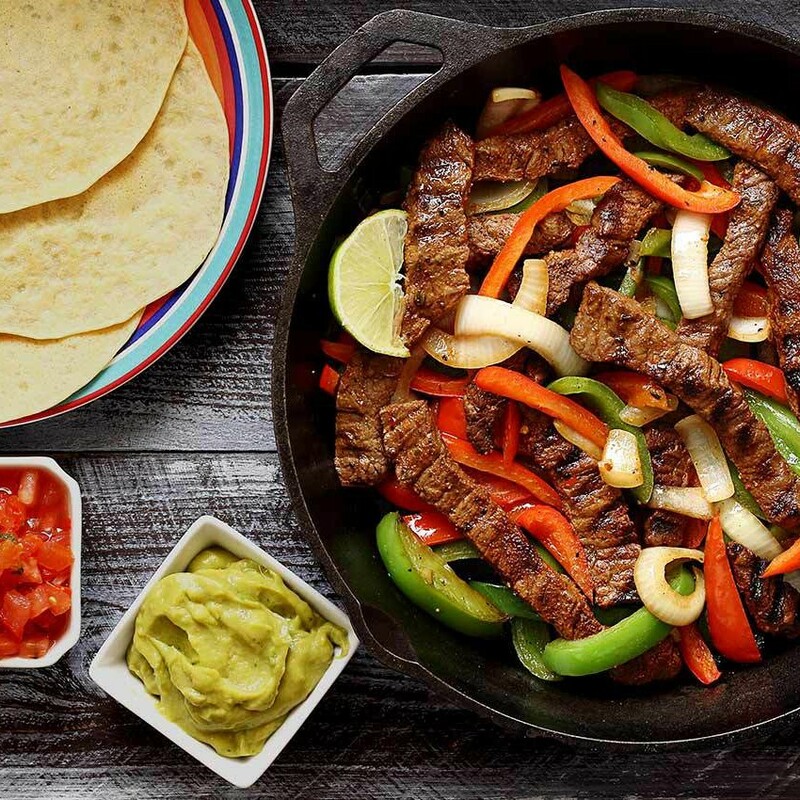 Fajita quesadilla with grilled shrimp, steak or chicken, cooked with sauteed onions, bell peppers, garnished with lettuce, guacamole and sour cream. Served with rice and beans. Kid's pizza with french fries. Crispy flour tortilla with melted cheese sauce, topped with lettuce, tomato, cheese, sour cream, and guacamole. A flour tortilla deep fried to a golden brown, topped with honey butter and cinnamon. A flour tortilla deep fried to a golden brown, topped with honey butter and cinnamon. Served with ice cream on the side. Traditional style cream custard pudding topped with melted caramel. Vanilla ice cream covered with raisins, corn flakes, and coconut. Deep fried and topped with honey and whipped cream. A mixture of banana, cinnamon and sugar rolled into a flour tortilla and fried. Served with caramel sauce and whipped cream. 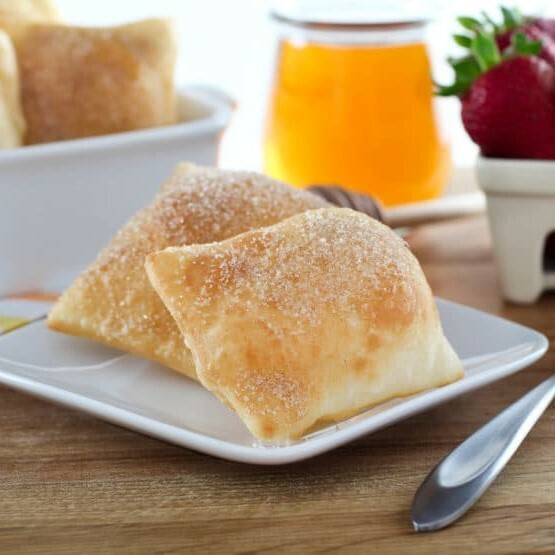 A mixture of apples, cinnamon and sugar rolled into a flour tortilla and fried. Served with caramel sauce and whipped cream. Deep-fried pastry strips filled with cramel or strawberry, rolled in cinnamon and sugar. Golden honey bun grilled. Served with ice cream. 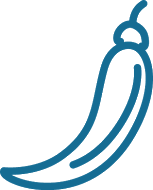 Available in chocolate, strawberry, banana, vanilla, or peach.